Time for Neymar to venture into the big bad wide world. I’ll be honest, my interest in Brazilian football has been seriously waning in recent months what with the Olympics, the Euros and now the start of a new season in England. It probably also hasn’t helped that my apathy for the Brasileiro has often seemed to have been shared by a significant proportion of Brazilians as well. As a result, apart from catching games at Juventus I hadn’t been to watch one of São Paulo’s bigger teams since the end of March. 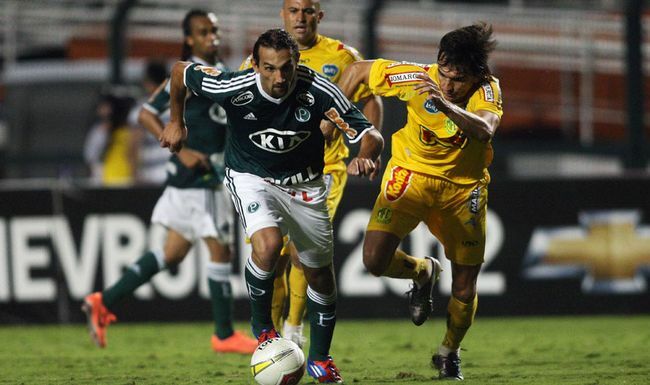 Palmeiras v Mirassol in the Paulista the last time I watched one of the big four in São Paulo. Until last Saturday that is, when I broke my Brasileiro abstinence by paying a visit to the Pacaembu to watch Palmeiras and Santos. Is it just me or has no-one noticed that the Brasileiro has started? Not all games are like this in Brazil. After returning from Buenos Aires last weekend I spent all of Sunday moping around the house watching football. And boy was I treated, first with Spain v Italy and then Ireland v Croatia. At one point during my Palmeiras & Corinthians dilemma I considered making life easier for myself by ditching both of them and following one of São Paulo’s other teams instead. To fill you in on why I didn’t (kind of) here’s the lowdown on what else São Paulo had to offer this intrepid football explorer. 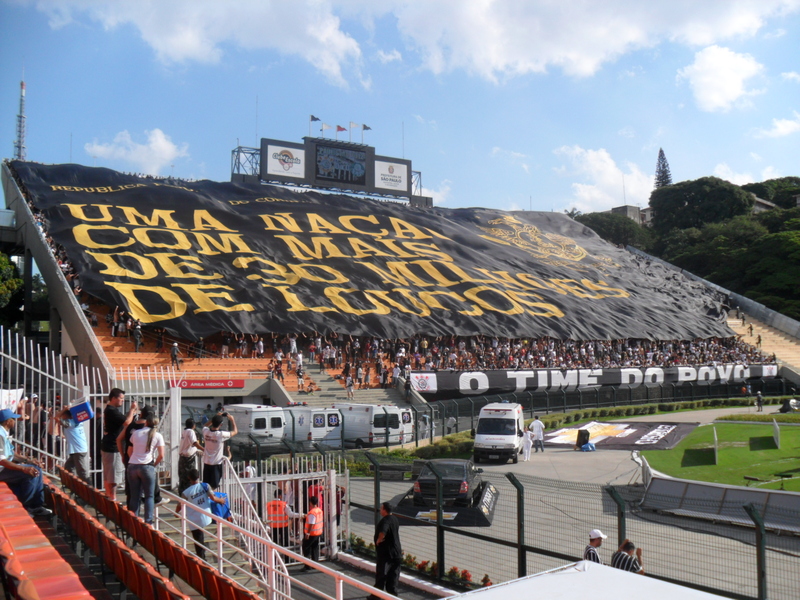 I have to be honest and admit that I never really considered opting for São Paulo FC. Firstly, they have, by Brazilian standards, a pretty boring name and their kit isn’t particularly inspiring either. Secondly, whilst they are one of Brazil’s most successful teams and play in one of the country’s biggest stadiums, it’s bloody miles from where I live and frankly it’s a pain in the arse to get to. God, I sound shallow. 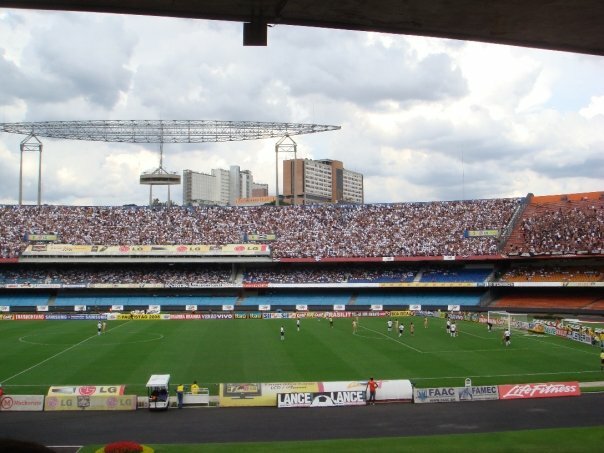 Morumbi, when I went to see Corinthians play there in 2008. My impression of São Paulo was not helped further by the palava I experienced when I tried to go and see them play against Portuguesa during the São Paulo state championship*. First, it took us nearly two hours to get there then when we finally arrived there were huge queues to buy tickets – queues that did not move beyond kick-off. We eventually gave up 15 minutes into the game. The most frustrating thing about the whole episode was that they play in a stadium that has a capacity of over 65,000. The attendance that day? 16,883. Eddie Thompson, the late chairman of Dundee United, was once famously quoted as saying, “You can change your wife, your house, your car, but you can never change your team”. I generally agree although unfortunately it means I’m destined for a life of perennial underwhelming – I support Gillingham. However, whilst there may only be one team you’ll ever truly support, I think it’s also fairly normal to follow or have an affection for others. Even Eddie Thompson did, he was apparently a Motherwell fan before he became involved with Dundee United. In my case I have a soft spot for my home town team of Sutton United. They were the first team that my father took me to watch when I was a kid and just six months into my football supporting career we saw them beat Coventry City 2-1. To this day they’re still the last non-league club to defeat a team from the top division in the FA Cup. And then there’s Brazil. Do I have a team? Yes, I have a team. 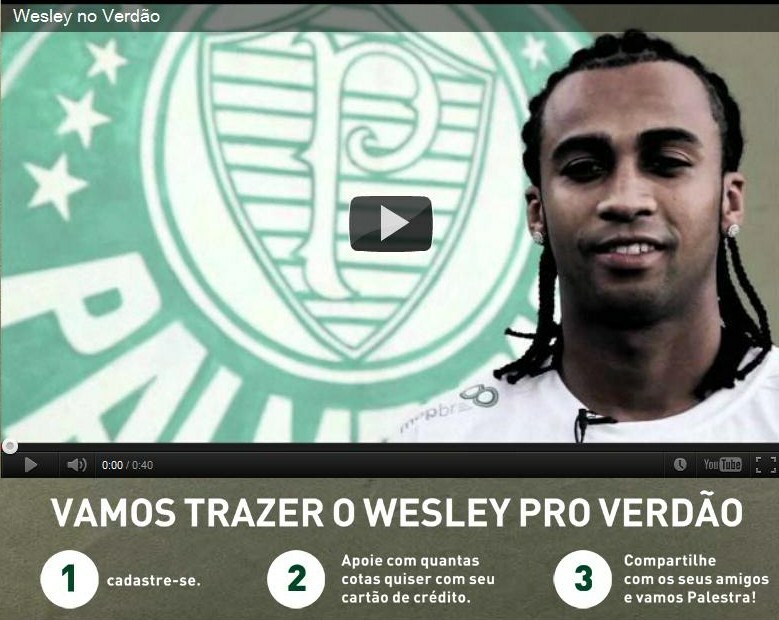 What to do with a problem like Wesley?